Stans ist schon gut gelaufen in letzer Zeit, aber da das Potential von Stans im seltenen Erden Bereich riesig ist aufgrund dessen, dass schon eine Mine und die Minengenehmigung besteht eröffne ich mal den Thread. Stans Kutessay 2 wird außerhalb Chinas fast die einzige Mine sein, welche aber 2012 seltene Erden im Heavy rare earth Bereich liefern wird. This first leg up in the young and vibrant rare earth bull market has given birth to many newfound skeptics on the industry. It is our firm belief that these very skeptics are now laying the very foundation of the proverbial ‘wall of worry’ which we will next stampede over. At this point, rather than focusing on industry-wide investing, it is our opinion that company specific events will provide the most upside, thus starting now we will begin to shed light on the most exciting and lucrative opportunities in the sector. We have constantly stated we believe investors can use the most recent uranium bull market as a blueprint for where the rare earth bull market will take us. To further that idea, we believe that the rare earth mining industry will mirror in development to that of the uranium market only a few years back. Aside from Mountain Pass, as it stands now, we do not see anyone else actually getting into full production before 2015 in North America. In Africa we see the possibility of at least two mines getting into production before then with potentially another in Europe. Australia will have two, and Asia we think could have three. Low cost Asia should be a cornerstone of anyone wanting to invest in near-term production not currently being fairly valued by Bay Street or Wall Street. We believe that someone will rise out of Asia much like UrAsia did during the uranium boom. Investors worried about its properties due to perceived geopolitical risks, however due to the fact it quickly got into production with low cost assets, it quickly became a billion dollar entity. From our extensive research, we are of the opinion that Stans Energy Corp., provides one of the most intriguing investing opportunities for investors. The company could have the past producing open pit Russian rare earth mine, Kutessay II, located in Kyrgyzstan, up and running in late 2012. 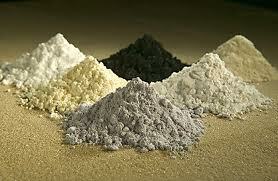 Their mine produced REEs for the former Soviet Union with half of production being the truly valuable heavy rare earth elements (HREEs). The company has begun some exploration efforts to further understand this extraordinary project. They will test the depth of the mineralization at the mine as the Russians never tested more than 25 meters below the bottom exploration drift, even though the deposit is widening to depth. According to Robert Mackay, CEO of Stans Energy Corp., this was due to the fact that, “they had 72 years of mine life when they started the mine based on 300,000 tons a year.” Mr. Mackay also indicated that the Kyrgyz Ministry of Resources has issued a 25-year mining license associated with the mine and it is fully permitted to re-start operations. The mine is currently the only HREE mine outside of China fully permitted for operations, thus putting the company years ahead of many of their competitors. Stans Energy is on friendly terms with the government in Kyrgystan and has, “had nothing but positive experiences when dealing with the Kyrgyz government,” according to Mr. Mackay. The country wants new mines, foreign investment and jobs for its citizens. Also of significance, the country recently held elections which we have been informed went smoothly. The company is testing a new zone 500m southwest of Kutessay II, and we believe they will find further rare earth mineralization similar to that found at the old mine. We believe that the project may contain further zones (much like the one the company has drilled) to increase resources. Investors will know for sure about further areas of exploration interest later this year as the company will be undertaking a complete geophysical survey over the 40 sq. km area of the Aktuyz Ore Field in the fall. The exploration is certainly an exciting part of this project, however we think the real value in Stans Energy lies in the historic mine. Most of the buildings are there, along with a mill and according to Mr. Mackay, “the equipment used at KCMP is still used today in the industry and it is all titanium and stainless steel so it was overbuilt like many Soviet plants.” The company also has the metallurgical process the Soviets used to extract the rare earths, which they will use as a building block to increase their extraction rates via new technology and chemicals. Stans Energy should also be releasing a JORC resource estimate for the Kutessay II open pit mine, which should be one of the most detailed resource estimates most investors will see in their life. Samples were gathered from the mine wall as well as from underground access points which go the length of the mineralization. Stans will know exactly what REEs are where in the mine along with detailed ore grades. When the Russians discovered this deposit, they determined it had 72 years of mine life at 300,000 tons a year. The deposit was mined for 30 years, so close to 2/3 of the deposit is left for Stans. The historical tonnage on the project was 51,500,000 kgs of REOs. It is our opinion that the company reaches production in 2013, due to their in-place infrastructure and permits as well as location. Mr. Mackay says that the, “best case scenario would be production in late 2012,” so we are confident with our number. Further, this puts Stans Energy on track to be one of the first HREE mines to production. We believe that Stans will be one of the few REE players to reach the production threshold, and one of the first to deliver significant quantities of REEs while prices are still high for the LREEs and the easy supply contracts for HREEs are available, thus at current levels the stock is underpriced. Over the next six months shares in Stans Energy could easily approach C$1.00 per share as the story gets out regarding their near-term production profile. We believe that the stock is poised to move significantly higher in the short-term due to the company generating significant news flow. The company should be releasing the JORC resource estimate soon, has the potential to add further deposits to the project through exploratory drilling on the seven domes they know are there due to the Russians and any further areas they may discover, and has all of the necessary licenses to get the mine up and running. Due to the tremendous groundwork the current management team has done, Stans Energy could be one of the biggest winners in this young rare earth bull market. Alles ist einsehbar, die Vorteile die Properties… Stans hält noch Uranprojekte außerdem ist Kutessay 3 in der Nähe der existierenden Mine welche die derzeitige Größe verdoppeln könnte. Im Oktober noch sollten die Bohrergebnisse zu Kutesay 3 kommen und eine JORC (das ist das Pendant zum NI43-101) kommen. Das dürfte dem Kurs nochmal Aufwind geben. Stans wird immer bekannter , Volumen in Frankfurt und Stuttgart nimmt zu. Im obigen Bericht ist erst mal von $1 die Rede, wir werden sehen, wie weit Stans noch läuft, bedenkt man sie kommen von $0,10 . – Für alle, die sich dafür interessieren, was im seltenen Erden Bereich gerade passiert. China kontrolliert angeblich 97% der seltenen Erden. steigende Nachfrage lässt auf steigende Preise schließen. Bereich light rare earths wird es in 5 Jahren eine Überproduktion geben, aber im Bereich heavy rare earths wird die Nachfrage das Angebot übersteigen. Stans hat mit Kutesay 2 heavy rare earth und light rare earth 50/50 !!! TheInvestar.com Interviews Robert Mackay, CEO of Stans Energy Corp.
Theinvestar.com: Mr. Mackay, can you tell us about Stans Energy and your REE projects, including the past producing HREE mine Kutessay II? Robert Mackay: Stans Energy Corp was founded in 2005 when we travelled to Kyrgyzstan to look at a gold property. We met with Dr. Gennady Savchenko who is now our Managing Director in Kyrgyzstan and we were impressed with his knowledge of the country and his professionalism. When you work in jurisdictions that you are not familiar with, it is VERY important that you have the right people you can trust and know the culture and the industry locally. When we started the company we were initially focused on acquiring uranium properties. Gennady was in charge of uranium geology for Kyrgyzstan and southern Kazakhstan during the USSR era, and therefore he helped us to identify the most promising sites. We were looking only to acquire those properties that had open pit or leaching capabilities, and we passed on ones that would be difficult to mine. I am proud to say that even following the collapse of the uranium boom Stans is one of the few companies that still has operations in Kyrgyzstan,. In 2006, we did a complete study of all the radioactive areas in Kyrgyzstan. In that study, we noted the Aktuyz Ore Field and the Kutessay II past producing REE mine, but at the time, the deposits were unavailable. In the fall of 2009, the government informed us that they were holding an auction to sell the licenses for the REE mine – Kutessay II, and the beryllium deposit – Kalesay. We immediately put a team together, including the top law firm in Kyrgyzstan, to prepare for the auction. The auction was held on December 29th 2009, and fortunately for us, we were well prepared and were the highest bidder. Theinvestar.com: What is the distribution between HREEs and LREEs? Robert Mackay: Our historical distribution is about 50/50. Theinvestar.com: Within that, which individual elements have the greatest proportion? Robert Mackay: In terms of quantity, Cerium and Yttrium make up 53% of the deposit, but in terms of value, using today’s prices, Europium, Dysprosium, Terbium and Yttrium make up roughly 66% of the potential revenue from Kutessay II, and these are the elements that we believe will have high growth rates in demand in the near future. Theinvestar.com: Do you have a value per tonne for this deposit? If so, can you also give us your estimate for its total value (total deposit value)? Robert Mackay: This will depend on our JORC and metallurgical results, but based on historical data , we estimate a grade of .3 REOs, which equates to about $240 per tonne using today’s prices. These totals don’t account for recovery rates, nor do they account for any additional by-product revenue. Both of these two additional variables can be added to the per tonne calculation once our updated metallurgical tests are complete. Theinvestar.com: I am told that you have a resource estimate, JORC, coming out soon. When can investors expect to see this released? Robert Mackay: Historical tonnage is 51,500,000 kgs of REOs, which is not recognized in the NI 43-101 or JORC standards so that is why we are doing a JORC. We still need to complete a drill hole to depth to find out how deep the dome-shaped deposit extends. This was the official reserve calculation that the auction was based on. What is interesting is that the reserve calculation the government based the auction on was calculated to 25 meters below the bottom exploration drift and even though the deposit is widening to depth the deposit has not been drilled below that level. They had 72 years of mine life when they started the mine based on 300,000 tons a year so given that there were still decades of tonnage left in the mine there was no need to do deep exploration to look for more. Theinvestar.com: Does Stans already have a mining permit/license for the project? Is there a legacy operating license from when the mine was in production? Robert Mackay: Stans owns a 25-year mining licence issued by the Kyrgyz Ministry of Resources. The mine is fully permitted to re-start operations. Theinvestar.com: What does the timeline look like to get to production? Robert Mackay: This is the big question. Time is a function of money and right now we’re progressing our project as fast as we can while conserving the money we have. Our plan is to have all the pieces for a feasibility study at the beginning of January, 2011, one year after the purchase of the mine. From there, with debt financing and some upgrades, best case scenario would be production in late 2012. Theinvestar.com: How much is it going to cost to refurbish the mine, buildings and surrounding infrastructure? Robert Mackay: The other big question… That is for a feasibility study to determine, and we are currently in negotiations for the processing facilities, so I cannot comment on the buildings. As far as infrastructure is concerned, it’s all there; roads, rail, power and water. You can drive a Cadillac into the bottom of the pit. There are even many knowledgeable people still living in the area who used to work at the mine. On a relative basis, it is safe to say that Kutessay II will require a fraction of the capital necessary for many other REE properties. Theinvestar.com: What exactly does the recent MOI you signed with a State-Owned institute in Russia cover? Robert Mackay: The MOI with VHIINT is step one of our plans in Russia. Our two organizations will jointly review the REE potential in the Russia Federation for the purpose of acquisitions. This MOI marks the first time that VNIIHT, a state-owned institute for mining chemical technology, is planning to pursue direct ownership in mining and exploration properties. I’m in Moscow now and we’ve just met with the Institute’s directors. We’re all very excited to begin what we believe will be a long, mutually beneficial partnership. Theinvestar.com: Some are skeptical of the operating environment in Kyrgyzstan. Can you shed any light on the operating environment for investors? Has the company made any inroads in opening a dialogue with the government there to ensure a smooth transition in moving the mine from its current state back into production? Theinvestar.com: How much cash does the company currently have? Also, could you tell us what it is held in (corporate paper, cds, etc.)? Theinvestar.com: Will you need to raise any funds over the next 6-12 months? Robert Mackay: We may need to raise money for the feasibility study, and possibly for additional acquisitions, however over the past couple months we’ve been contacted by a number of institutions including a bank who are interested in our project, so we will have financing options. Theinvestar.com: What percentage of the company does management own? Robert Mackay: The founders of Stans own roughly 32 million shares and many of those are held in escrow for the next 4 years. Theinvestar.com: Are you going to go it alone on this project, or could you take on partners? Robert Mackay: We are a growth oriented company, and so we will try to stay nimble. We believe that end-users are going to determine which REE projects are successful and which aren’t. A partner in Japan would be ideal as they are the biggest importer of HREEs in the world. Theinvestar.com: We have been told by some of our contacts in the industry that manufacturers of the products that use rare earths are interested in locking up new supply and that they could be willing to help bring mining facilities online. Has Stans been contacted about any opportunities such as this? Theinvestar.com: You have the old Russian mine, Kutessay II, but on the same property you have some other areas of interest, when will you drill test these? Robert Mackay: Currently we’re awaiting drill core assay results of a new zone, 500m south-west of Kutessay II. Our geophysical survey indicated a large metallic sulphide anomaly with high thorium content, which is similar to the Kutessay II geophysical signature. We suspect it’s mineralized, but we don’t know the grades. We will be doing a complete geophysical survey over the 40 sq km area of the Aktuyz Ore Field this fall to look for additional mineralized areas. Theinvestar.com: What are you doing regarding the metallurgy? Will you verify the Russians’ old method and simply use that, or will that be a building block on the way to get higher returns with modern technology? Robert Mackay: This is one of my biggest frustrations with the investment community as the market generally doesn’t appreciate just how valuable it is for a project to have a proven industrial scale process to extract the final rare earth metals or oxides from these complex ores. These deposits have extremely complex metallurgy and at our mine Kutessay II it took the Soviets 7 years to get the mill to work at a consistant rate and then 4 additional years to perfect the separation at KCMP and that is with the unlimited budget and brainpower of the USSR..
What we are doing is refining the process by using new separation equipment and chemicals. We are not reinventing the extraction process we are refining it. The equipment used at KCMP is still used today in the industry and it is all titanium and stainless steel so it was overbuilt like many Soviet plants. Theinvestar.com: Looking at the industry as it is now, where do you see Stans in five years? Further, will Stans be a consolidator, seller, or neither in the industry going forward? Robert Mackay: Our goal is to be the biggest, low-cost HREE developer in the world. Much needs to happen for Stans to achieve our goals, but we believe them to be attainable. Theinvestar.com: REE prices have been moving dramatically higher lately. Is this the new price level, or are we overpriced or underpriced at these current levels? Robert Mackay: There are many misconceptions about REE prices given the uniqueness of the industrial uses, and the current sources of production. China determines the prices that the rest of the world accepts for REEs. We believe that LREEs are well overpriced based on FOB pricing, and HREEs are underpriced, given our expectations of expected future demand. Theinvestar.com: Where do you see prices in a year? Over the next five? Robert Mackay: Tough question to put numbers on… How about I answer based on my projected economics and you can decide the numbers. We believe that due to China’s HREE industry consolidation, the crack-down on illegal HREE exports, and mining standards improvements, HREEs will continue to increase in price. Chinese quotas, and the amount of new production from India, Vietnam, Russia, and Australia will determine the prices for LREEs. In 5 years, we see a price war in LREEs as many new sources are made available, and a shortage of HREEs. Theinvestar.com: When you look at Stans and your properties and then look at the rest of the industry, what are your thoughts? Do you see your company as fairly valued, undervalued or overvalued? Robert Mackay: I believe that it’s going to take a very long time for the REE space to develop in North America because of regulation. The Wall Street Journal did a study this spring and concluded it takes 7 years to get a mining license on average and that is without having to accommodate the storage and handling of radioactive elements that are found in most HREE deposits. My experience says that investors will eventually grow impatient. Currently, the market for HREEs outside of China is small. Those who can reach low-cost production the fastest, will enjoy fruitful returns on their investment. That being said, if demand increases the way many analysts expect, China could become a net importer of REEs, and there won’t be enough REE properties to go around. Every CEO in the world thinks his or her company is undervalued. It’s in our nature, and it’s why we work as hard as we do. Theinvestar.com: Thank you for your time today Mr. Mackay, we look forward to hearing more about these exciting events as they unfold. Molycorp hat für die Wiederaufnahme Kosten von 511M$ in einem ersten Schritt mit einer Produktion von 3000t/pa REE. Molycorp will in einigen Jahren wieder mit 40000t/pa REE, voll produzieren. Stans hat maximal 750t/pa REE produziert also den Faktor 4 kleiner. Setzt man diese Größenordnungen ins Verhältnis, dann sollte für Stans die Restauration der KCMP-Plant ca 60M$-80M$ kosten. Mit den produzierten REE’s, die nach dem Kutessay II Basket von aktuell über 90$/kg bewertet sind, müssten pro Jahr an die 70M$ Umsatz erzielt werden können. Das würde eine pay back von 2-3Jahren bedeuten. Kutessay III müsste später die Produktion auch für Kutessay II übernehmen, denn bei 750t/pa mit der KCMP-Plant müsste nach den jetzigen Reserven und den historischen Daten 68,5 Jahre produziert werden. Aber immerhin könnte Stans damit frühen cash flow erzielen, eine Chance die nicht viele REE Senioren haben. The certified, independent labs, Information Research Centre LLC and the Central Scientific Research Lab of Karabalta Mining Works (CSRL), utilized modern methods of X-ray fluorescence and ICP analysis to confirm the historical Soviet methods of assaying, and although significantly varying in certain sections, the results statistically correlate with each other. Of note, the re-sampling program identified a 15 m high-grade zone of Quartz-Chlorite Metasomatite across the re-sampling interval of 58-73 m. The averaging grade of the TREO was measured at 1.09 %, which had been previously identified at a grade of 0.59. The scientific and technical information in this document was prepared in accordance with National Instrument 43-101 – Standards of Disclosure for Mineral Projects (“NI 43-101”). This information was reviewed, verified and compiled by Stans Energy Corp.’s geological and mining staff under the supervision of the company’s qualified person, Dr. Gennady Savchenko, Managing Director, Stans Energy KG. President and CEO, Stans Energy Corp.